Love Letters Stationery is giving away two personalised diaries to two local readers, in celebration of their recently launched online shop and updated site. Bridgett Richardson, the creative mind behind the shop, personally selects each item with love and attention to detail. The selection is inspired, colourful and perfect as gifts or even as a personal spoil. Visit the beautiful site here. 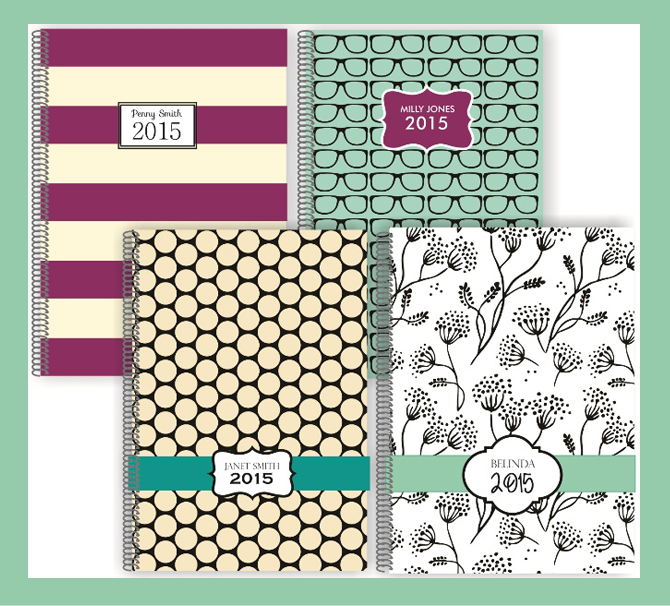 The gloss hard-cover ensures the diary (valued at R275) will look as good in December as it did in January. Page per day layout gives you plenty of space for all your notes, appointments and doodles. Getting organised is one of my absolute favourite things and I couldn't think of a better way to share my passion for all things pretty with you. You are so SWEET to think of us the reader :) Thank you so much!!! Fingers crossed!!! Too gorgeous! Was so chuffed to discover I earn extra entries as I like you both on Facebook and follow you on Twitter :) Holding thumbs! These are great. I've been looking for a nice diary for my boyfriend, but none of the cute ones I've seen are page per day. I am useless at organizing and planning, so hopefully one of these beauties will inspire me to finally get organised! What a perfect giveaway! Thanks for sharing these pretties with us!